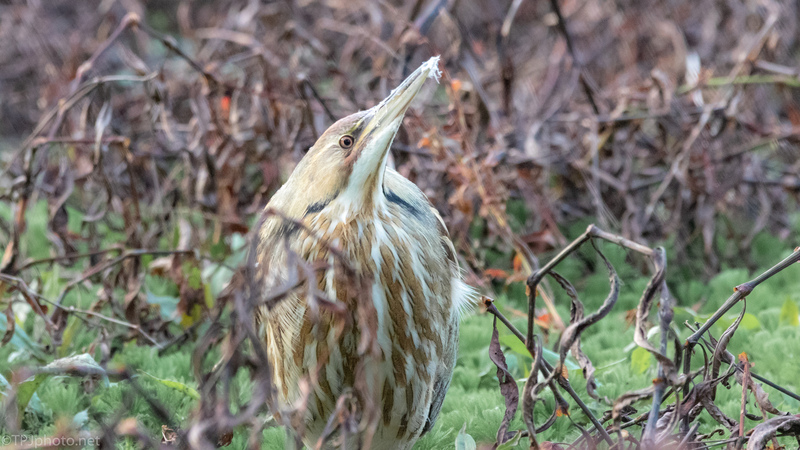 This is a shy solitary bird most of us know little about. They hide well and become almost invisible. This set is one of the few that I have ever shot. They most always face towards to sky. 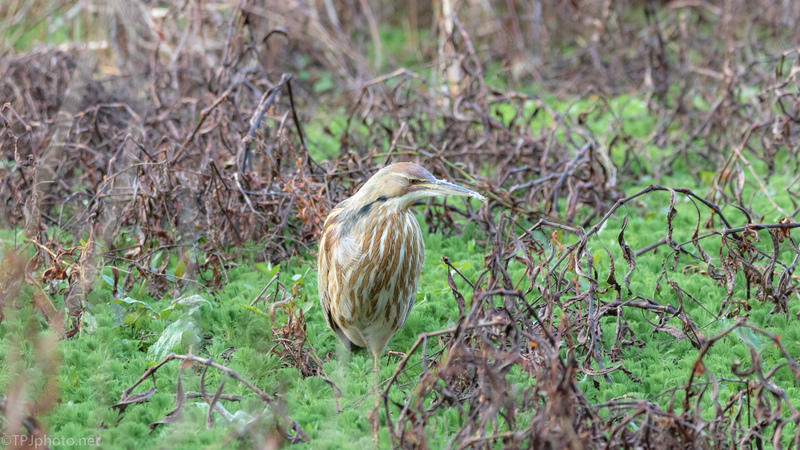 This helps them blend into the reeds and swamps where they live. 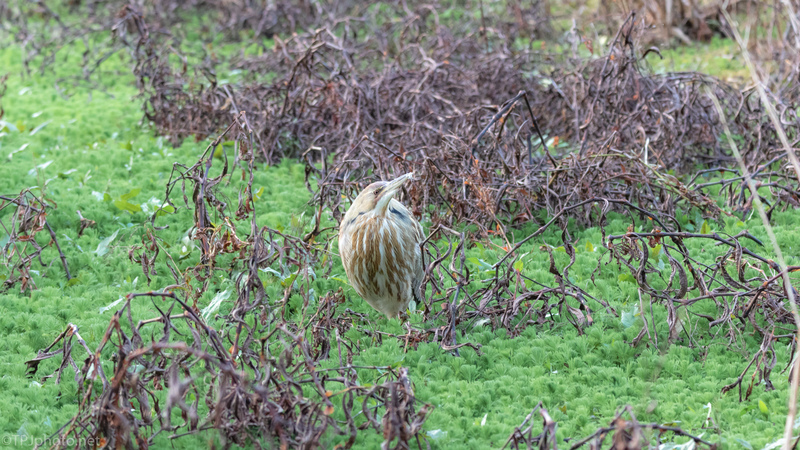 This Bittern did the normal ‘freeze in place’ when he knew we had spotted him. If you walk away, even a short distance and turn back there is nothing. They have mastered the art of disappearing. 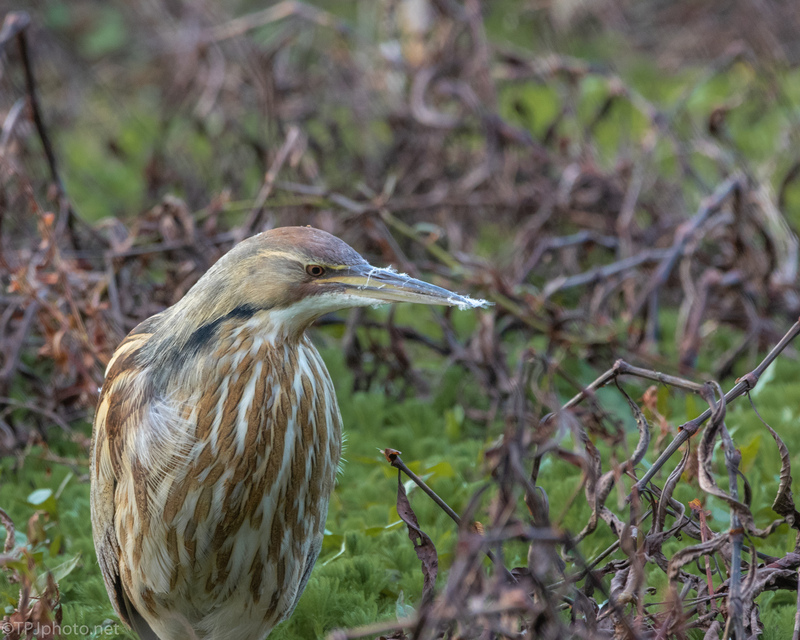 Almost never do you see one in the open space like this bird. We know he lives right in this small section of swamp, search for him from the dry trail, and at best see his head sticking up. Fine shots, I particularly like the 3rd in the series. I’ve yet to see one.